The Green Girl went for a short run this morning before work. I'm up in Northern California visiting my family for the extended Memorial Day weekend. The morning air was cool and crisp. 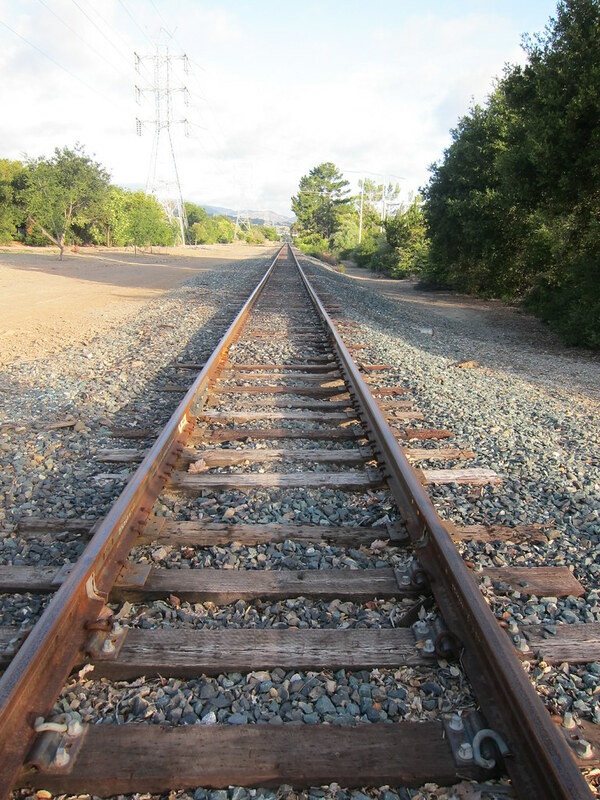 I decided to run on the gravel along the railroad tracks towards Congress Springs Park. The rocks crunched beneath my feet with each step. The sun gently warmed my body as I ran. The quietness of surburbia surrounded me. When I ran under the giant steel power poles, I could hear the buzz of electricity flowing through the power lines. 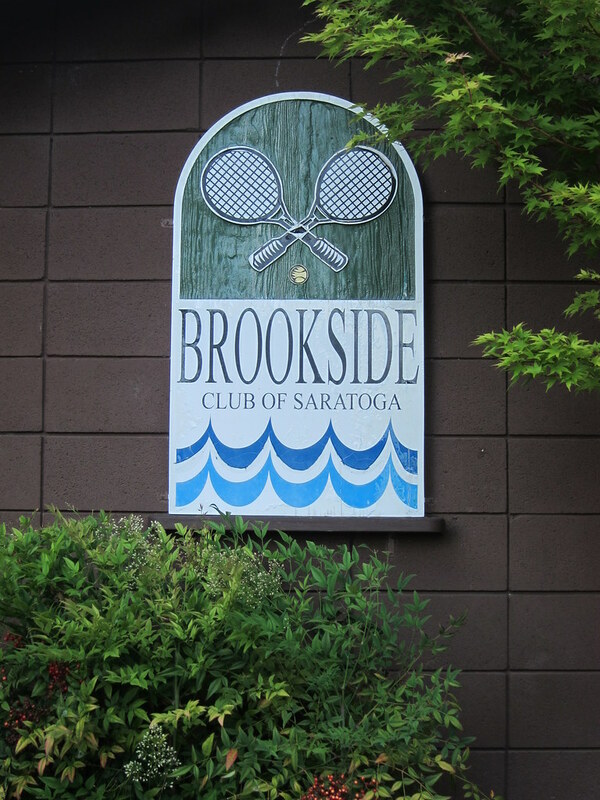 I decided to follow a path down to Brookside Club of Saratoga. I recalled visiting the club back when I was in high school for some sort of event. 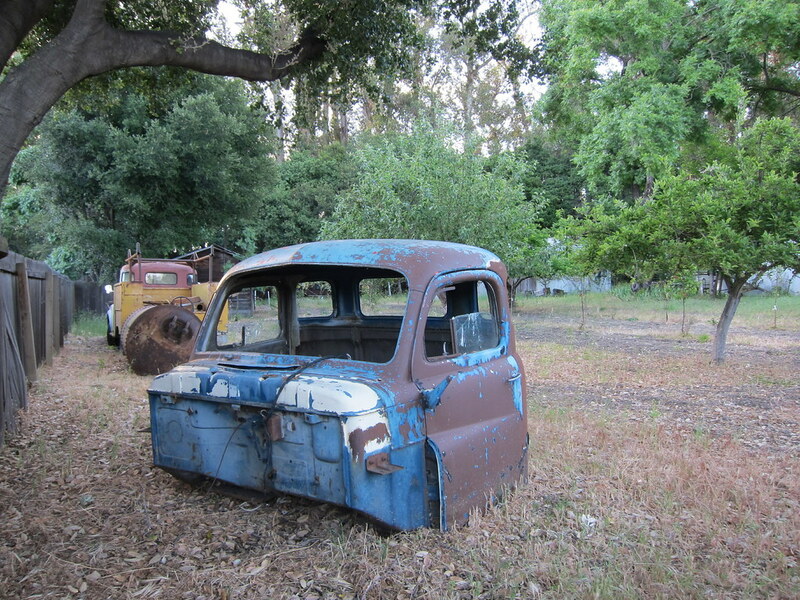 To the right of the narrow road, there were antique cars and automobile parts scattered across a grassy patch. I immediately thought of one of my favorite television shows, American Pickers, and wondered if these pieces were worth a lot of money. It was the perfect way to start off my day. I returned to my parent's house feeling refreshed and focused. I'm looking forward to surprising my little niece by picking her up from school today. Awesome looking photos! Great run! Hey, you are kind of in my neighborhood. I am in San Jose. Hope you have a wonderful weekend here. 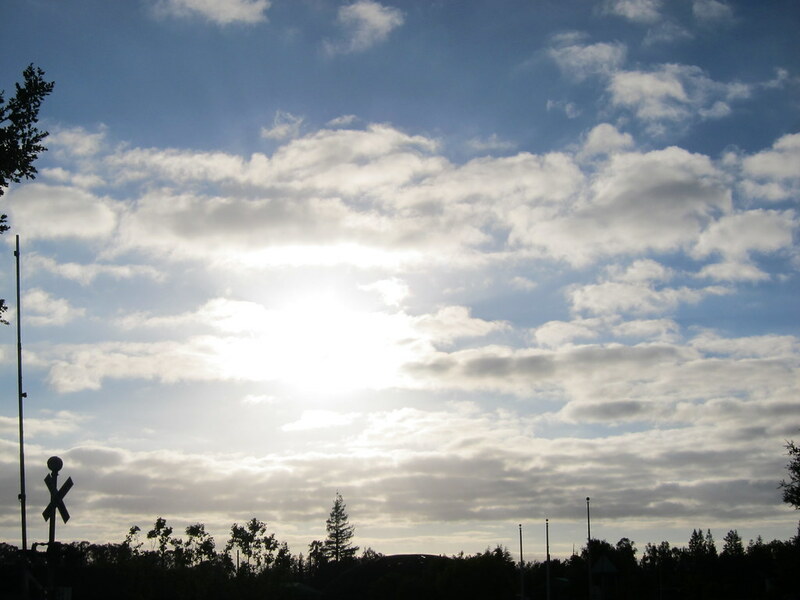 The weather is unseasonably great = not too hot, not too cold. Sounds like a beautiful run (the pictures are great too!) Enjoy your holiday weekend. Sometimes there is something special about the solitude in a morning run which it looks like you found along those tracks. Pretty run! Enjoy the long weekend with your family. Great pictures! I enjoy American Pickers too. I'm always amazed at how they can remember so much information- value, history, etc- about such a wide variety of things. How fun that you surprised your niece and picked her up from school. You're a wonderful aunt! You always have these cool adventures. Sounds just lovely, glad it was a nice one for you!